Continuing their series of live streaming special events, Disney Parks Blog has announced they will be showcasing “Mickey’s Once Upon A Christmastime Parade” as well as the “Holiday Wishes: Celebrate the Spirit of the Season” fireworks show at Walt Disney World’s Magic Kingdom live this Sunday, December 6 at 8:15pm EST. At that time, a new blog post will appear with the live stream feed for the parade, which features Santa Claus himself along with your favorite Disney characters, marching toy soldiers, elves, gingerbread men and much more. 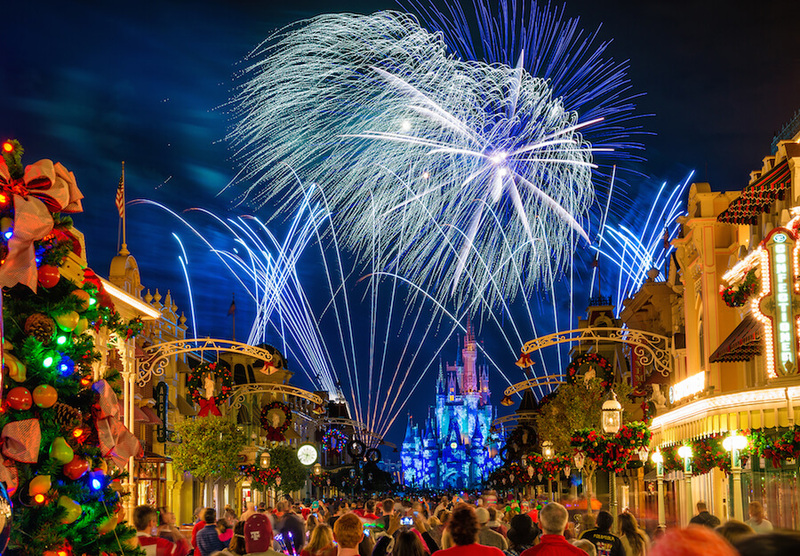 Afterwards, you’ll want to keep the stream going on the Disney Parks Blog at 9:30pm for the “Holiday Wishes: Celebrate the Spirit of the Season” fireworks extravaganza. Hi, I am watching live from County Durham ? Can’t wait to come over next year to celebrate my 50th birthday ? Watching from Drarborn, MI – home town of Henry Ford. Watching with my 2 rescued puppies – Max and Alayna. Watching from Trevor, Wisconsin with the 4 kids. We were there just over one year ago. Hykes Family watching in Hebron ,Ky! Rachael, Bekah Mom and Dad!